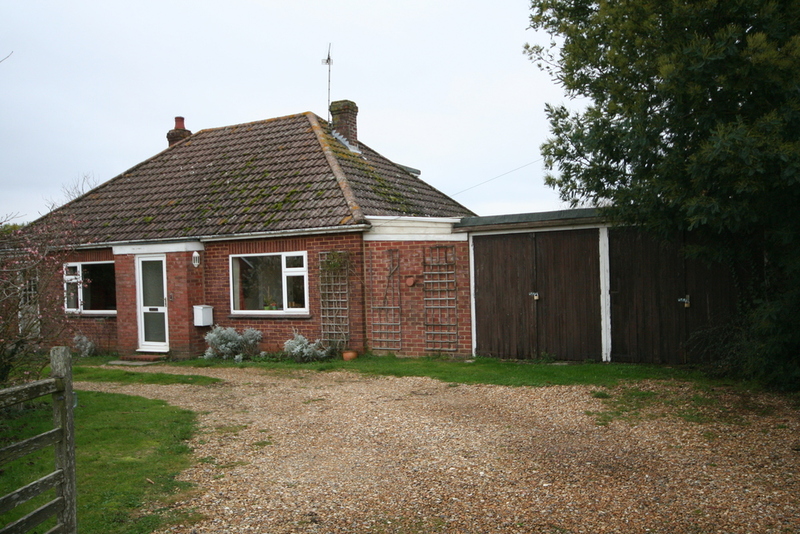 Our clients bought this bungalow with a view to converting it into a family home that made life easy for their wheelchair-bound son. The project was a total refurbishment with a large extension, new roof covering all over and exterior rendering to hide the aging defective brickwork. Internally corridors were widened, doors widened or removed and access was created to a lovely back patio and garden. The kitchen dining area has become the main family room and the lounge with its vaulted ceiling and wood burning stove creates a large yet cosy space for the family to relax together. Key features include level threshold doors, vaulted ceiling in the lounge, a large roof-light over kitchen flat roof and an exposed flu from a wood burning stove. This porch was built without the need for planning permission as it falls within the regulation size allowed by New Forest Parks Authority. 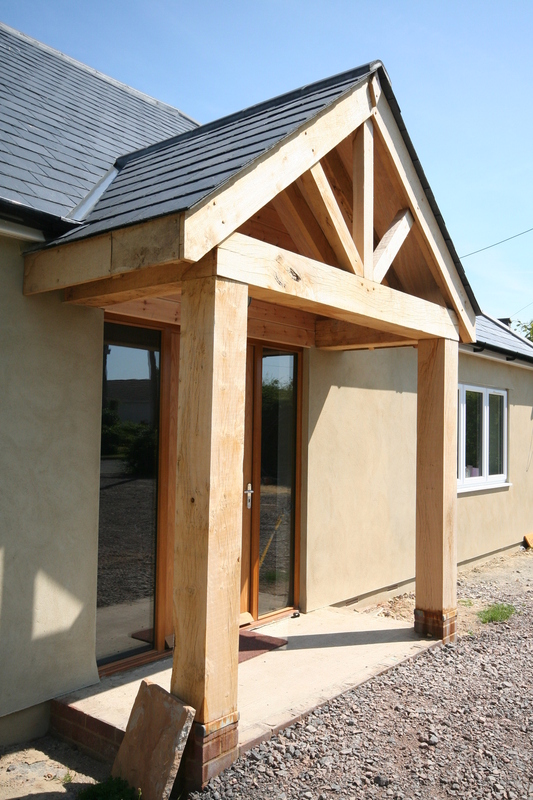 It was a high quality build with solid oak infilled with rendered panels to match the house. The ceiling is vaulted and benefits from the triangular glass panels over the door. The bespoke solid oak door leads to a heated slate floor and makes a grand entrance to the house. Other detail includes cast iron gutters, chamfered brick plinth and full insulation.